Abstract: The ultimate objective of rock typing is to drive a framework for rock property distribution within 3D reservoir models that both honours the well data and predicts reservoir properties in un-cored wells and between wells (Hollis et al., 2010). Rock typing is an important input to successful reservoir study, drilling, production and water injection. 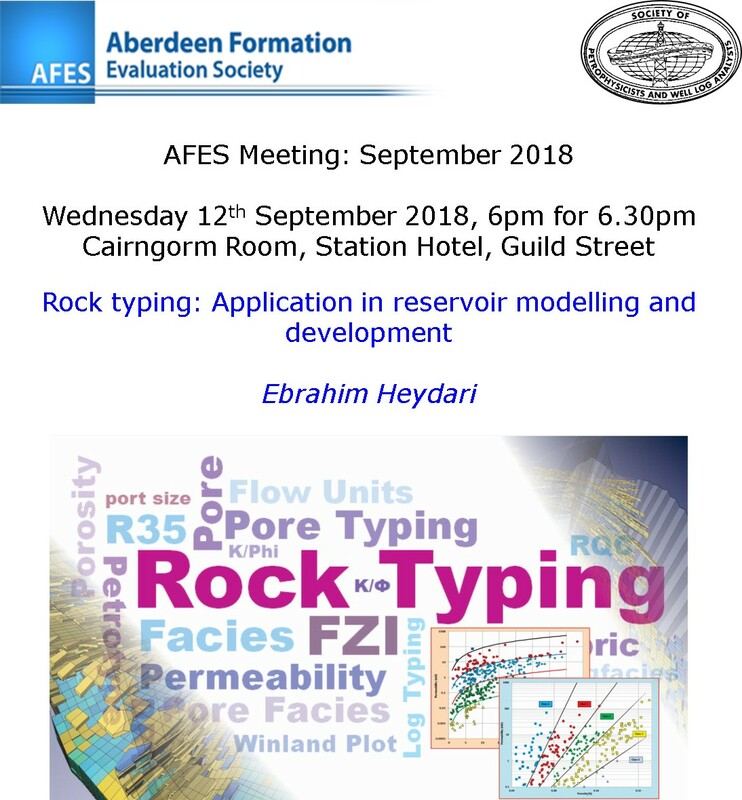 Importance and objectives of rock typing, methodologies, requirements, pitfalls and optimal set of data for rock typing will be discussed and a case study will be presented to highlight the value of rock typing in the field development and water injection projects. Biography: Ebrahim is independent petrophysicist and geologist with 20 years industrial experience of petrophysics, formation evaluation and geological studies. He has contributed to many successful exploration, development and abandonment projects of world class oil and gas fields for international investors and operators in the Middle East, North Sea, Africa, South East Asia and Latin America. He is specialist in data integration (log, core, geophysical, geological and reservoir data) with a proven track record of successful achievements. He has BSc in Geology, MSc in sedimentology and geophysics and finishing his PhD on petroleum geology and petrophysics in the University of Aberdeen.